ZenHub is a browser extension that injects advanced functionality seamlessly into the GitHub interface, making centralized collaboration on GitHub faster, more visual, and less cluttered. I like how they've tried to make the Github issues look a little better and they've helped make kanban a little more manageable with all their awesome reporting. In trying to make the issue creation look better, it's left off some of the functionality you can do right out the gate with Github, like dependancies, but you can add it in after the issue is created. Their reporting has helped tremendously with estimating our projects for clients. Anyone in web development knows this is the most difficult thing to do, but by creating an issue, allowing to evolve over time, and making sure to fill in all the information like estimate, release, and milestones; the reports will show you what you lack in your estimating over time. You will progressively get better with this, especially if you stayed convicted in following the Agile Web Development process. I like the fact that it is integrated with Github and hence with just one account without any registration I can use it and the integration is seamless, to say the least.You can easily work on all your repositories and can solve issues present in them with your team working on the same thing at once.I also would like to dwell on the fact that it is really seamless and some of the tools that it provides really tell us that they really made it for the developers. If you want a perfect product to maintain your repositories then look no more and use this amazing service and you will fell in love with it. While working on a QA project all the codes were uploaded on Github and my entire team used ZenHub to work on the same code at once and very easily because of the plethora of tools that are provided it was really a quite an easy task to maintain, manage and keep track of the development. "Issue management at its best"
I have multiple repositories and many issues within each one. I love how Zenhub allows me to create Boards, this makes the organization of my issues simple. I can visually see what issues I need to work on, verify, what's in the Backlog and even see the total number of each issue in each category. Github alone is missing this and it made it difficult for me to track my issues, many would get lost because I would get overwhelmed in trying to scroll through the issues. I did filter by assignee but Zenhub allows me to see this in a board format. Which is great. I haven't found anything I dislike about using ZenHub. Be prepared to see productivity to go up. We use scrum on my teams and Zenhub helps us go through scrum a lot faster because we can see clearly where we're at and where we need to focus our attention on. It's literally a portable white board. "Great Dev Project Management Tool associating with GitHub"
It has a strong connection with GitHub. Easy to use, especially for the different working pipelines. Clearly layout to overview project progress. Lack of statistical functions, e.g. How much time a person has been worked? A little bit delay when creating new issues. If you are using GitHub as version control system and looking for a project management software, ZenHub is a best choice. You will not be regret to be a user of ZenHub. We have serval developers working in different locations. We need a project management software to help us arrange the whole develop tasks and maintain develop progress. Considering that our software code management is based on GitHub, we would like to choose a project management software which has connections with GitHub. After doing a research, we found ZenHub is our best choice, and it becomes more and more better since we begun to use. "SRE teams' de-facto repository organization plugin"
We're using this to plan and delegaste tasks on many projects, including disaster recovery and services deployment. As an organizational tool, it fills Jira's gaps fantastically AND all inside of the browser. For project planning, this is _the_ tool your team deserves. I'd advise you to learn to use ZenHub's pipeline to get the most out of the plugin. 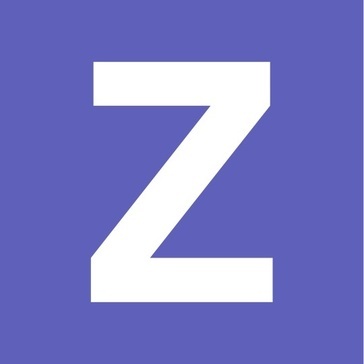 We realized we needed ZenHub to make actionable decisions fast on GitHub issues and epics, redistribute responsabilities between SREs and backend developers, and make ROI/capacity planning on future projects. "So great Github should buy it." It's github's best friend. There are a lot of other Kanban card style ways to prioritize IT tasks but none are as well integrated as Zenhub. Using their chrome extension they add features directly on top of Github. The features are made so well they end up forgetting they weren't part of Github's featureset in the first place. A little expensive for the featureset. Their product is nearly perfect but pricing per user, while normal for other services, is a bit off putting for one that builds their product on top of another. It's especially hard to justify when you have a lot of users and end up paying Zenhub more than Github (the product it builds ontop of). ZenHub is really great. The only negatives are the per user pricing. Other than that it, it is the perfect fit for almost every project. The only thing that could make it even better is if Github would buy it and integrate it. It makes managing a medium sized team of developers easier and makes tasks simple to prioritize and track without having to leave Github. It also gives you great features like Burndown for gauging complexity of particular tasks and how quickly features can be completed. "Seamless kanban board for GitHub"
The integration with GitHub. When you are a developer, it's really nice that you have everything in one place. Also, the configurable columns are handy when you need to define your own workflow. It requires a Chrome extension to work, and cannot be used in other browsers. Also, the interface sometimes feels a bit slow. If you are looking for an issue tracker integrated with GitHub, this is probably the best one. It also shines if your workflow is headed a bit into the kanban direction, as opposed to strict scrum. We use ZenHub for issue tracking of our GitHub projects. We have our own workflow including QA, and ZenHub has been a great fit. "Integrated project management without leaving GitHub"
ZenHub is the first and only project management suite that works natively within GitHub. The learning curve is non-existent, the design is seamlessly integrated, and it's extremely reliable. As a former Trello user, the transition to ZenHub was a breeze. It features the same linear layout, and drag and drop capabilities; and instead of 'cards', you just add/manage the "issues" you have already created in GitHub. I still love Trello, but ZenHub is just a superior product in my opinion for day-to-day project management, specifically relating to development. The pricing is very reasonable and it's free for open source and personal projects. As a huge proponent of open-source development, that means a lot to me. ZenHub is used by companies like Microsoft, Facebook, Sony, NBC News, and more. Finally, the team over at ZenHub is wonderfully transparent and helpful. They are fast to reply to questions and feedback and are dedicated to the continual improvement of their product. Overall, there isn't much bad that I have to say about ZenHub, and I'm having a hard time trying to come up with cons. The only thing I can thing of is, there isn't much room for customization potential as far as aesthetics. They really try to keep consistent with the standard look and feel of GitHub. That could be a downside if customization is a must for you. Also keep in mind, the product is relatively new so if you're expecting something with a thousand crazy features, ZenHub doesn't have them (yet). But, they are adding new features/updates very regularly and discussing them over at their blog. - Less time spent trying to figure out where we are with certain tasks. - Being able to press "b" anytime while on GitHub to access your workflow, is much easier and faster than trying to hassle with a separate program in a different browser tab. - It also makes things really easy to stay organized with fellow team members who are working from a different office or at home. "Liked it but I wish it was better"
There are some problems like, if you create "Milestones" from certain page, it will open the zenhub's new milestone page but if you create "Milestones" from other page, it will open the Github's default milestone page. Use it to divide work between co-workers to make sure tasks are completed at right time without other hassles. "Brings me closer to my tech team!" I love how easy it was to get onboarded. ZenHub features sit on top of GitHub so it works seamlessly with my workflow and allows me to keep tabs on the engineering team. As a marketer, it is so important for my work to be aligned with tech development. ZenHub allows me to do that. Honestly, nothing! Anything I dislike is quickly fixed by the team. They're agile and responsive. As a lean startup, it's important for all of us to keep track of all the work that goes into each and every sprint. ZenHub gives me visibility of all the moving parts, and encourages more collaboration and communication between team members. There are lots of options out there to track tasks/tickets/issues but they are all a separate entity you need to signup for, install, have yet another window open etc. Zenhub integrates right in your github flow. Currently can't think of anything yet that Zenhub doesn't offer. Maybe I should look around and dig deeper but it's satisfying all my needs. Time Management. Getting projects done one time. Seeing an overview of issues that are blocked / done / need to be QA'd etc. It is much more user friendly than Jira. The actual UI of kanban is cluttered. Could use a bit of airing out. We are solving scrum functionality faults across our team and ZenHub provides a seamless way to get our whole team on one page. "Organize and Visualize Your GitHub Issues"
Great way to visualize and organize your issues. Filter, sort, and view all your issues at once. No complaints for this. It's a great add-on! A way to view all our issues. "Clean but performance could be better"
decent integration with GitHub. Cards are easy to group, drag around. Search functionality works really well. "Easy Kanban board for Github"
Zenhub provides an easy to use interface, and seemlessly integrates with issue tracking. If you are already using issues to track sprints you have to use zenhub. "Good add-on to GitHub for small teams"
Insufficient workflow tools, slow performance when there are a lot of issues. ZenHub has met our needs well enough to manage our agile workflow. "Really great integration with Github"
Burndown charts linked to our milestones are amazing! Have yet to find another tool that combines all of this in Github. "Good for collaboration and product management"
Integration with GitHub, applying story points, and seeing the weekly points flow. Wish you could easily sort the boards layout better or at least group certain issues together. Product and project management for releases and research. Easy for all members of the team to sort and apply issues to the tracker and work with engineering to get them accomplished. Developing an MVP for a startup. Zenuub helps in visualisation of your timeline and milestones and prioritize work accordingly. This is a really nice way to organize issues on github. Yall really need a Safari plugin. i am trying to use this on my smaller macbook which has trouble running chrome, and I can't. It really makes the organization of the issue tracking on github less daunting. * We monitor all ZenHub reviews to prevent fraudulent reviews and keep review quality high. We do not post reviews by company employees or direct competitors. Validated reviews require the user to submit a screenshot of the product containing their user ID, in order to verify a user is an actual user of the product. Hi there! Are you looking to implement a solution like ZenHub?